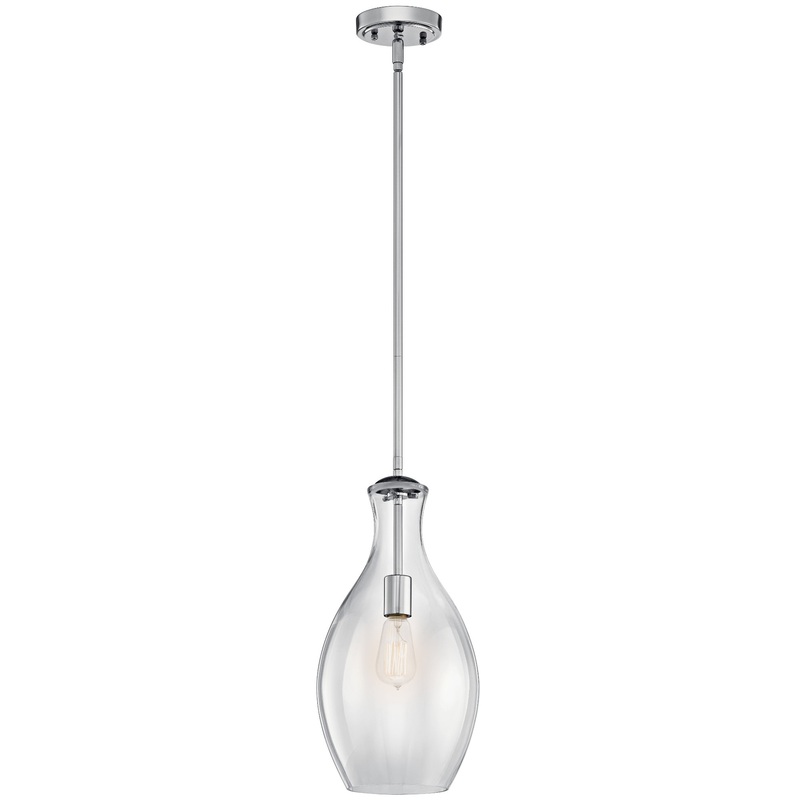 The design of this 1 light mini pendant from the Everly(TM) collection is inspired by a decorative blown glass container. This generous, bowed clear glass fixture features a Chrome finish and a distinctive Vintage Squirrel Cage Filament bulb that leaves an impact. For ease of use, the glass shell is removable for cleaning and replacement.